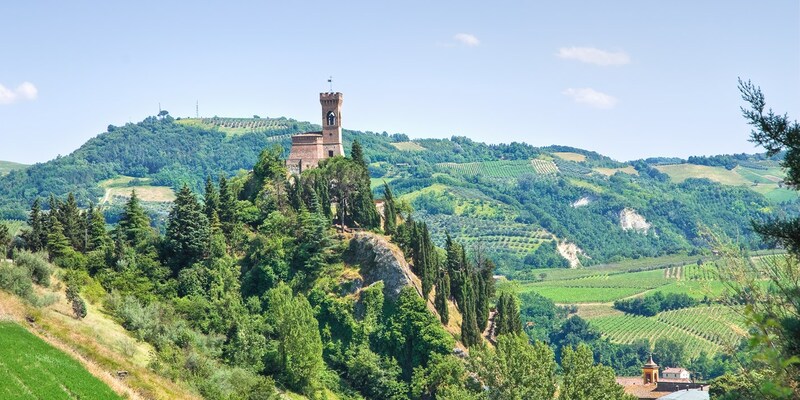 Sandwiched between the Alps and the Apennines, Emilia-Romagna is home to one of Italy's most important and best-known food cultures. Find out more about what makes Emilia-Romagna the undisputed heartland of Italian cuisine. 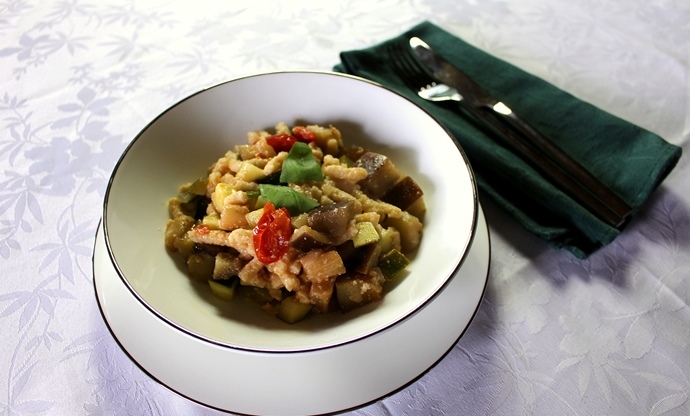 Emilia-Romagna is widely regarded as the home of the finest food traditions found in all of Europe, let alone Italy. 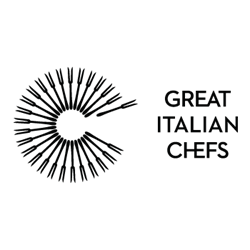 Scanning a list of regional food products and dishes reveals a ‘who’s who’ of Italian food – Parmigiano Reggiano, balsamic vinegar from Modena and Prosciutto di Parma all originated in Emilia-Romagna and legally can only be made in their respective areas. 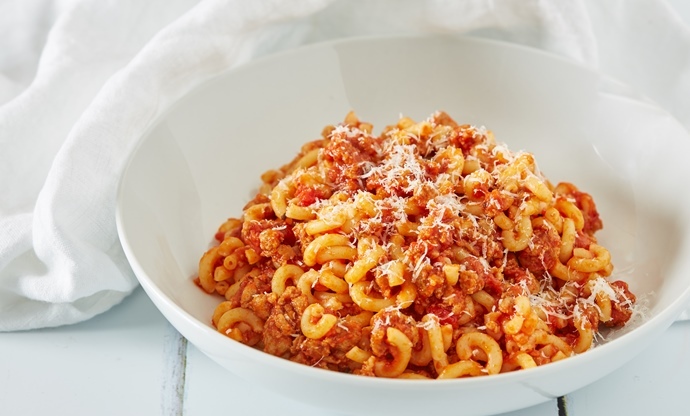 The infamous spaghetti Bolognese originates in the region capital of Bologna, though it would never be served with spaghetti in Italy – the locals much prefer tagliatelle to mop up their rich meaty ragu. Tortellini in brodo – another quintessential Italian dish – is typically Emilian too, with mortadella, prosciutto and pork loin making up the delicious innards. With over 200 traditional products now protected by law and twenty-six more with PGI-protected status, Emilia-Romagna is undoubtedly the heart of classic Italian home cooking. Tucked away neatly between the Alps and Apennine Mountains, Emilia-Romagna owes much of its gastronomy to simple geography. The Po River runs straight through the middle of this fertile belt, acting as a vein through the heart of agricultural Italy. 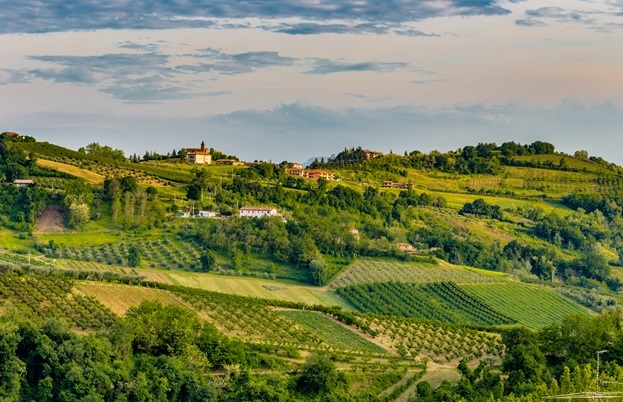 Known as the Pianura Padana valley – or sometimes dubbed ‘the food valley’ – this was once marshland, but now makes perfect soil for fruit, vegetables, livestock and other cereal crops. Follow the river east and you’ll eventually reach the Po Delta and the shallows of the Adriatic Sea, which provides the region with outstanding fish and seafood. Though officially recognised as a single region, Emilia and Romagna have some significant gastronomic and cultural differences. 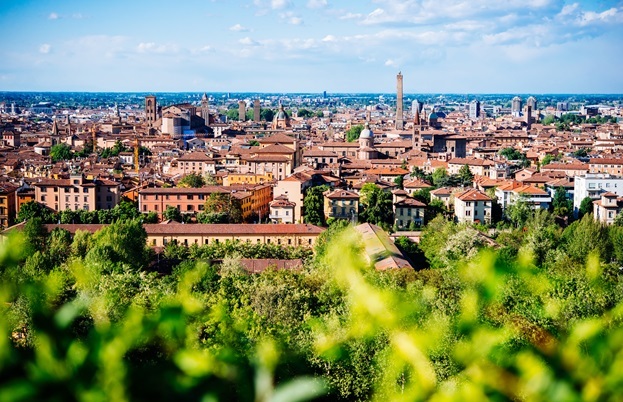 Emilia lies to the north and west, encompassing the cities of Piacenza, Parma, Reggio Emilia, Modena and Ferrara. Food here is heavily based on pork – pigs are plentiful, as are the chestnuts on which they graze – and there’s a subtle Germanic influence from nearby Lombardy. Romagnolo cuisine by comparison is a little lighter and cleaner, less reliant on animal fats and more in tune with the nearby Adriatic sea. Visit the Romagnolo cities of Ravenna, Forli, Cesena and even Bologna itself, and you’ll find beautiful basilicas and churches that hint at a history of Byzantine influence from across the sea. Both subregions have incredibly rich culinary tapestries, but when you combine them, you undoubtedly find yourself exploring one of the world’s great food cultures. Take a look at some of the highlights of the region below. The incredible pasture land of the Pianura Padana means cattle are extremely well fed here, and that results in exceptional milk and butter. The most obvious example of this lies in the excellence of Parmigiano Reggiano. Known worldwide for its firm yet delicate taste, Parmigiano Reggiano (or Parmesan) is a combination of outstanding natural produce and expert cheesemakers, with centuries of knowledge and experience behind them. 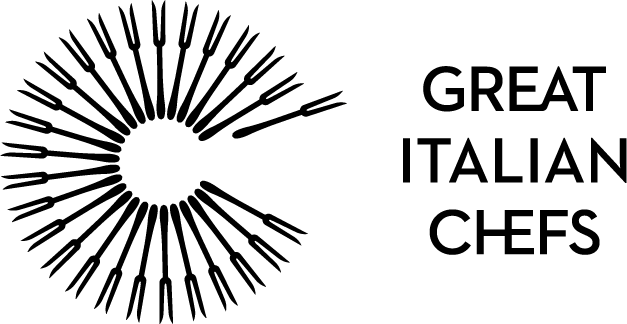 Grana Padano – another hard cheese with a slightly milkier flavour – is also produced in the area, as is Provolone Valpadana (a semi-hard cow's milk cheese) and Raviggiolo, which is protected by a Slow Food Presidium. There are many other cheeses made in Emilia-Romagna, but Parmigiano Reggiano is by far the most famous. Alongside a wedge of Parmesan, no table in Emilia-Romagna is complete without a tray of salumi. 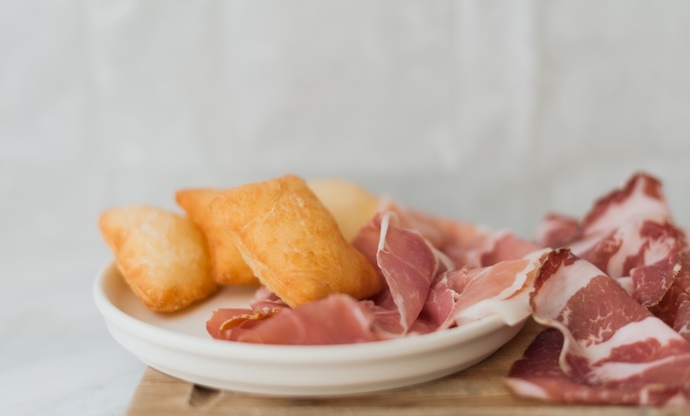 The best known, of course, is Prosciutto di Parma – the famous Parma ham that introduced many of us to the sweet, savoury joys of cured pork. Still, there's plenty more quality salumi to be enjoyed – keep a special eye out for Mortadella di Bologna, Coppa Piacentina and the very special Culatello di Zibello, a rare salumi that is highly prized for its delicate flavour and texture. Vineyards are another vital part of Emilia-Romagna's gastronomic underpinnings, not just for the production of wine, but also for balsamic vinegar. Deep, glossy and syrupy, good balsamic vinegar has incredible complexity in the nose and on the palate. Balsamic is traditionally used to flavour roast meats, but the excellence of the product makes it extremely versatile – just as welcome on a chunk of Parmesan as in a salad dressing. 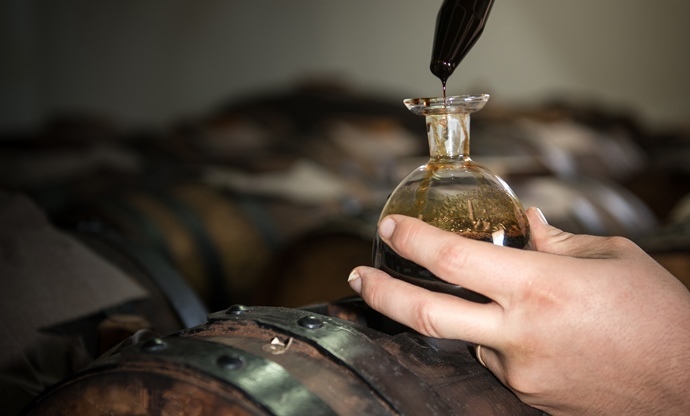 Modena is the home of balsamic vinegar, and the strict production processes date back hundreds of years. 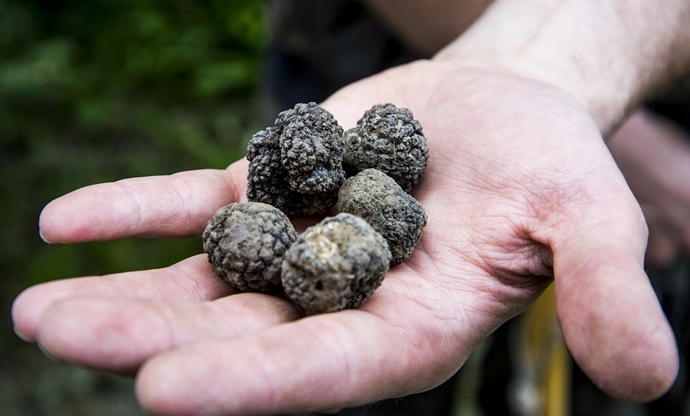 There's no denying that Piedmont is at the head of the pack when it comes to truffles, where the area around Alba is home to the best truffles in the world. But Emilia-Romagna produces a decent haul of its own every year, which often end up freshly grated over the area's many fresh pasta dishes. The fertile soil of the Pianura Padana sits at the core of what makes Emilia-Romagna special, but the Apennines are of equal importance. Up in the mountains around Frignano, a patchwork of chestnut orchards produce marroni. 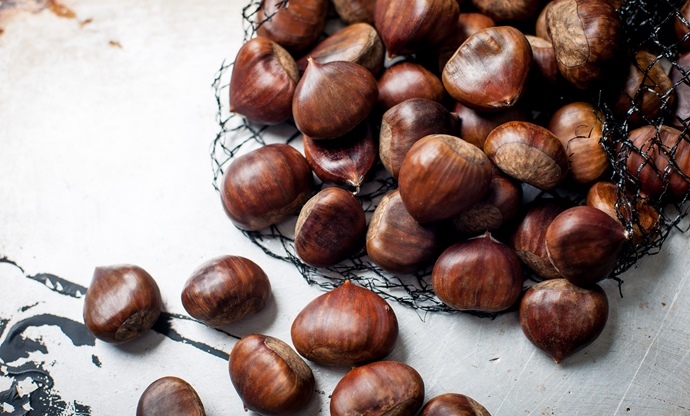 Soft, sweet, pulpy chestnuts have been an important part of the Emilian diet for centuries, so much so that the chestnut tree is often referred to as 'albero del pane' or 'bread tree'. Marroni are still considered a delicacy in these parts, and are eaten roasted, boiled, or ground into flour to make pasta and cakes. In the city of Bologna, rich and meaty ragùs reign supreme. Made with a combination of pork and beef (or veal), the sauce is simmered very slowly for hours until everything melts together. 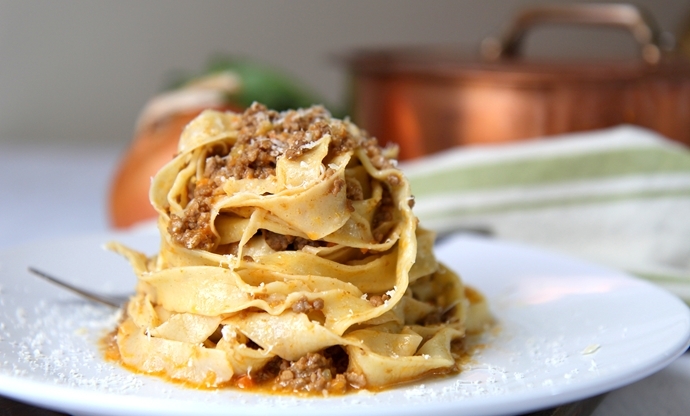 The ragù is then used to dress fresh ribbons of tagliatelle pasta for a filling and hearty dish that has come to represent Italian cuisine all over the world. It's the forefather of spaghetti Bolognese – an inauthentic dish enjoyed in places like the UK and America – but you'll never see this pasta sauce served with spaghetti anywhere in Emilia-Romagna. 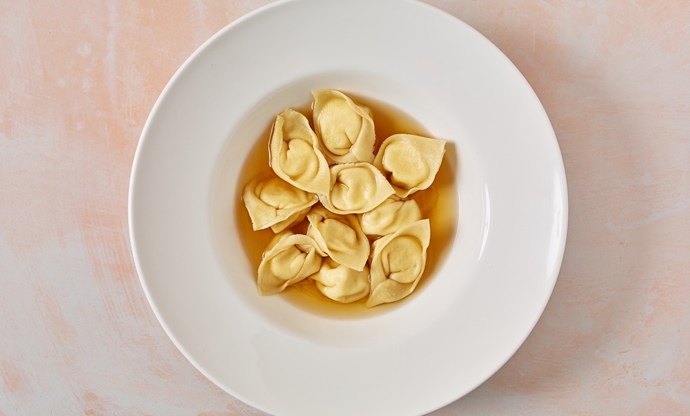 One of Emilia-Romagna's most iconic dishes, this simple bowl of stuffed tortellini pasta submerged in a clear chicken broth is a true speciality of the area. The pasta is filled with pork, local salumi and Parmesan, which complements the light soup perfectly. Emilia-Romagna is renowned for its fresh pastas, many of which are stuffed and filled (think tortellini, ravioli and cappaletti). 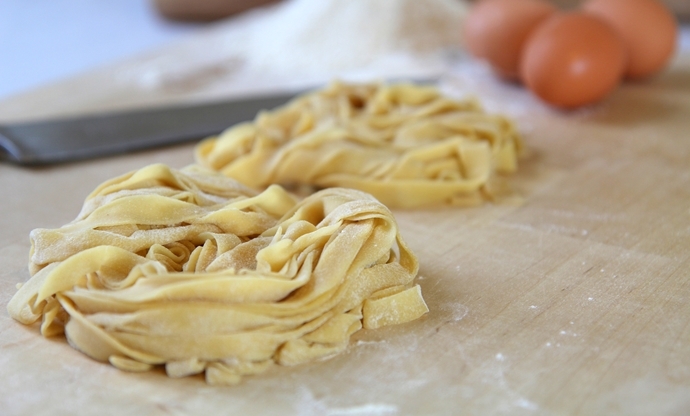 However, fresh egg pastas such as tagliatelle are just as popular, often dressed with rich ragùs for a truly satisfying primi. Lots of Emilia-Romagnan dishes make the most of the fantastic local pork and beef, but the fertile fields of the area means there are plenty of fantastic vegetables on offer too. 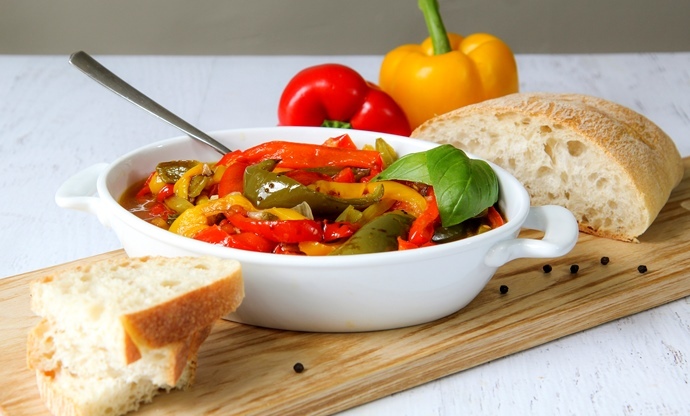 This popular side dish sees fresh peppers slowly stewed in Modena's famous balsamic vinegar, tomatoes, garlic, olive oil and plenty of basil until bursting with flavour. 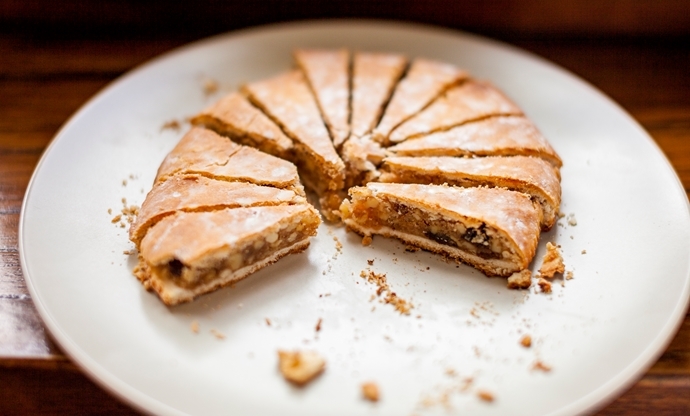 Christmas just wouldn't be Christmas in Emilia-Romagna without one of these dense, sticky cakes on the table. A combination of nuts, dried fruit, honey and spices form the filling, which is then wrapped in a shortcrust pastry flavoured with white wine. If you want any more examples of just how much the people of Emilia-Romagna love meat, then this celebratory dish should put any doubts to rest. 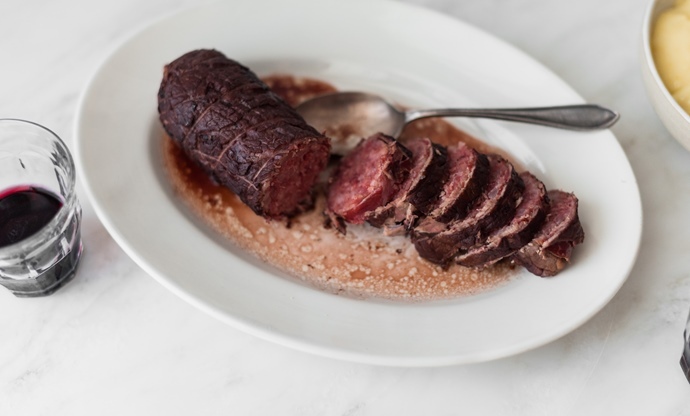 A dense cotechino sausage is wrapped in prosciutto and flattened beef before being braised in local Lambrusco wine. It's usually served alongside mashed potatoes or lentils during the winter. 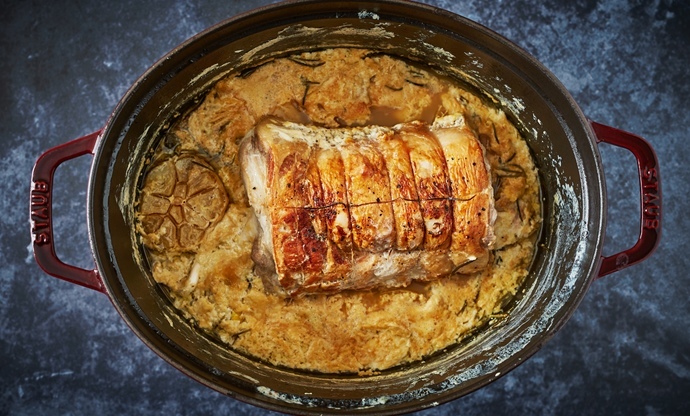 Yet another celebration of meat, maiale al latte is a simple dish that sees a whole pork loin braised in milk and aromatics for a rich and indulgent finish. The milk thickens in the pot as it cooks, creating a flavourful sauce that can be drizzled over slices of the loin. 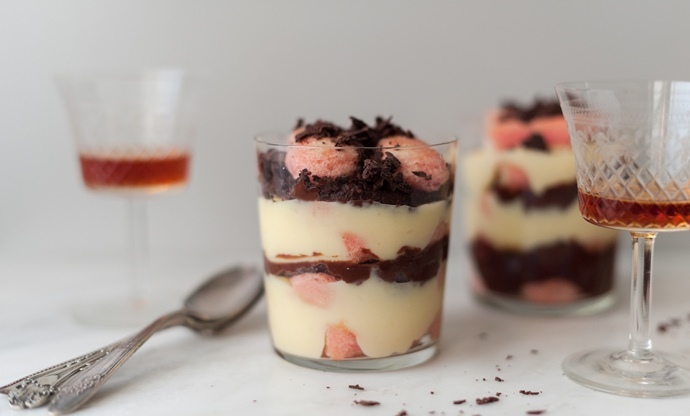 Italy's answer to trifle, this dessert is flavoured with Alchermes (a pink Italian liqueur), vanilla, chocolate, cream and ladyfinger biscuits. A fantastic alternative to the much more famous tiramisu, it's a popular way to finish off a meal in Emilia-Romagna. It might not be the most aesthetically pleasing dish of the region, but zuppa imeriale is absolutely packed with flavour. 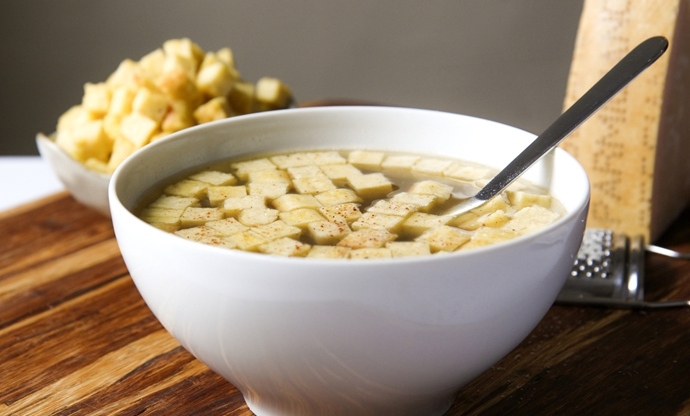 The clear meat broth is a masterclass in delicate Italian cooking, while the cubes of baked semolina act as little sponges which soak up all the liquid. This rice cake was originally prepared for festivals but has become so popular that you can no wfind it year-round. Arborio risotto rice is cooked in milk and eggs infused with citron peel, vanilla, blanched almonds and amaretti biscuits, before being glazed with Amaretto until sticky. Pork and beef are the main meats of Emilia-Romagna, but you'll also see the odd bit of lamb on the menu. 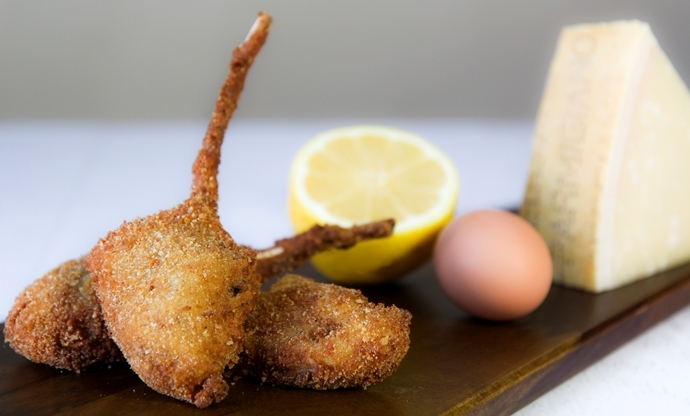 The most popular way of preparing them is dredging lamb chops in breadcrumbs before deep-frying them until crisp. This savoury pie is Emilian cooking at its finest. 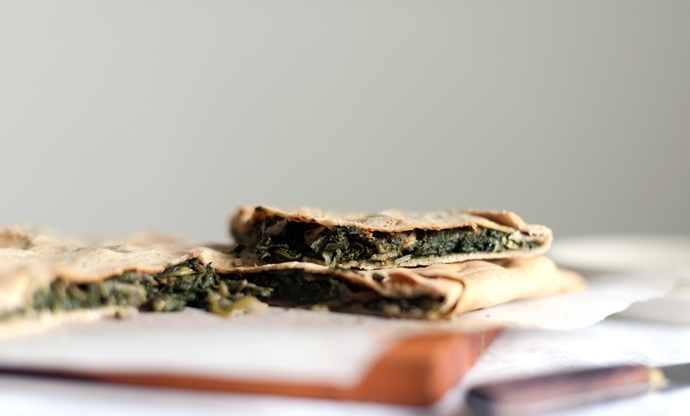 Wilted spinach and chard are combined with salty pancetta, onion and Parmesan before being stuffed inside a crust made with lard – the fat of choice in the region. It was originally created to feed hungry fieldworkers, but today it's a popular snack to eat on-the-go. One of the lesser-known pastas of Emilia-Romagna, passatelli is made by combining eggs, Parmesan, breadcrumbs and cream cheese. The dough is then pushed through a potato ricer to create rough shapes which are then quickly boiled and dressed in a simple vegetable ragù. A unique pasta shape from Bologna, gramigna is a little like macaroni but longer and slightly curled. It's usually served in a simple sausage, white wine and tomato sauce, before being sprinkled with plenty of local Parmesan. 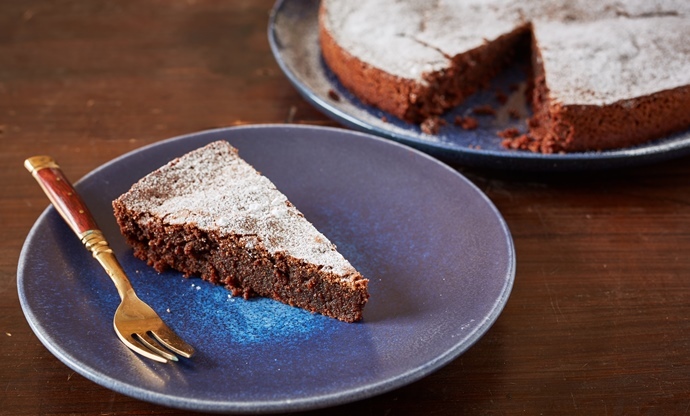 While the recipe above will show you how to make a delicious version of torta Barozzi, the actual recipe is a closely guarded secret of the family who originally invented it in 1886. The combination of peanuts, almonds, chocolate, coffee and rum results in a dense, brownie-like cake that goes perfectly with a cup of espresso. 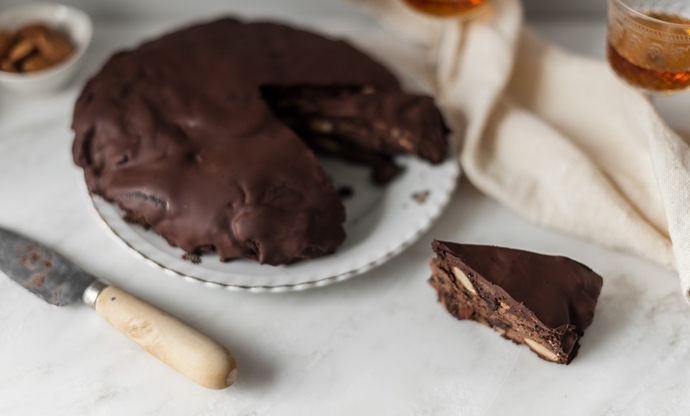 Hailing from the city of Ferrara, this chocolate-filled take on panforte was a sign of serious wealth in the seventeenth century thanks to the (then) exotic ingredients it's filled with. Cloves, cinnamon, nutmeg, nuts, candied peel and cocoa are mixed with flour, honey and milk to create a firm, intensely flavoured dessert that's named after the pop and usually served around Christmas. What's not to love about deep-fried bread dough? 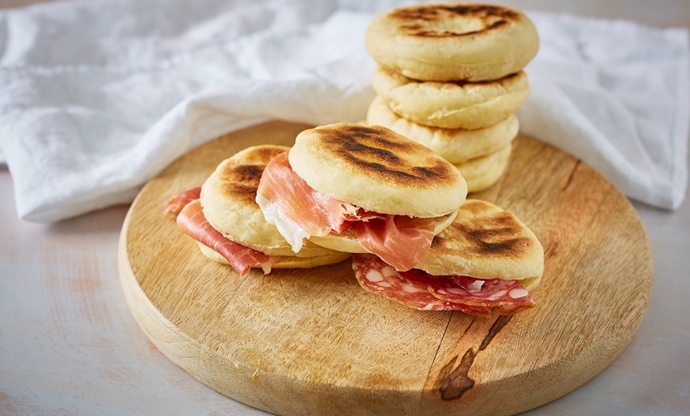 These little pillows are sold fresh in shops all over Emilia-Romagna, often sliced in half and stuffed with a variety of cured meats. One of the most popular street food dishes of the region. 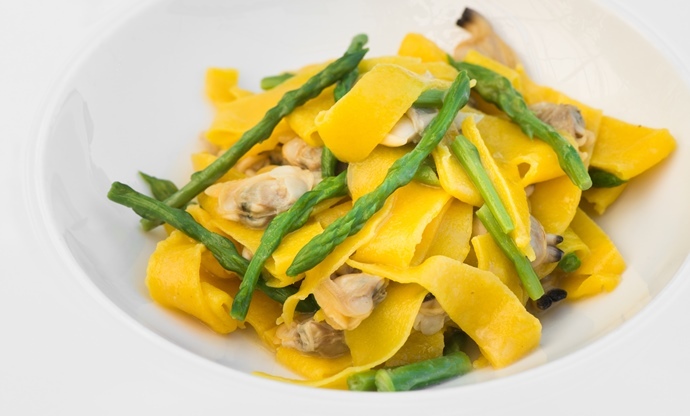 A more rustic version of tagliatelle, maltagliati is often served up in the trattorias of Emilia-Romagna. 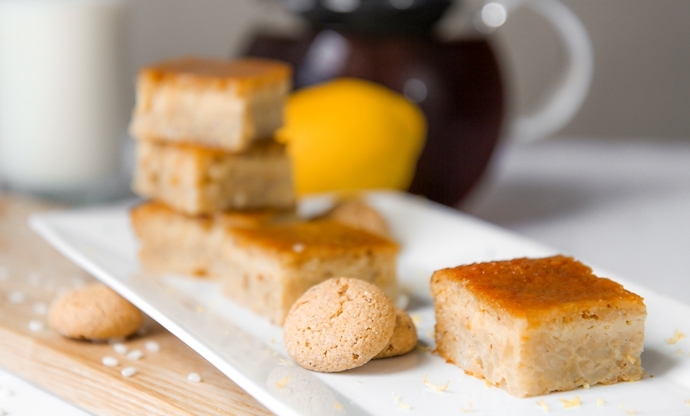 Made with semolina flour and eggs, it lends itself well to lighter dishes, as opposed to the thick meaty ragùs the region is famous for. 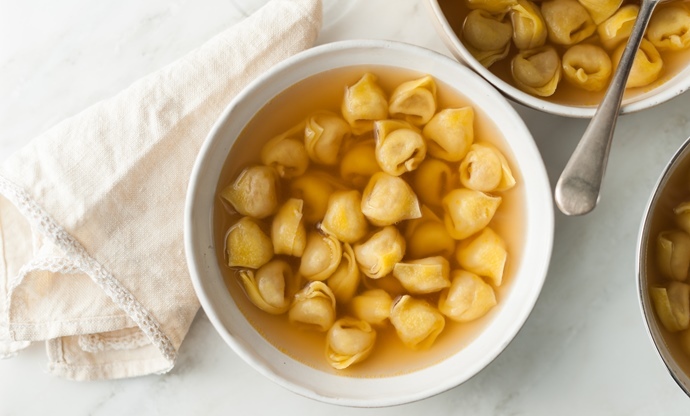 Tortellini in brodo is the most common combination of filled pasta and broth, but you'll also see variations on the classic, such as this dish of cheese-stuffed cappelletti. Ricotta, Parmesan and stracchino come together to create a seriously satisfying filling. These flatbreads are a little like English muffins, but tend to be thinner and smaller. They're either served on their won fresh from the griddle, or sliced open and stuffed with cured meats and cheeses (a lot like the gnoccho fritto above).